Charles Askegard was born in Minneapolis, Minnesota, and began his dance training at the age of five with Loyce Houlton and the Minnesota Dance Theatre. He continued his studies in Minneapolis until the age of 16, spending one summer at the School of American Ballet (SAB), the official school of New York City Ballet, in 1983. 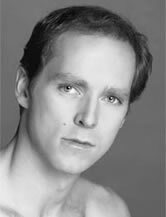 Mr. Askegard joined American Ballet Theatre as a member of the corps de ballet in 1987, and was promoted to soloist in 1992. In 1997, he left ABT to join New York City Ballet as a soloist. He was promoted to principal in 1998. Robert La Fosse’s “Rockin’ in Rhythm” from Duke! In 2002, Mr. Askegard appeared in the nationally televised Live from Lincoln Center broadcast, “New York City Ballet’s Diamond Project: Ten Years of New Choreography” on PBS, dancing in Them Twos.and in May of 2004 he appeared in the Live From Lincoln Center broadcast of “Lincoln Center Celebrates Balanchine 100,” dancing in Vienna Waltzes. In addition to his appearances with New York City Ballet, Mr. Askegard has been a guest artist with Pacific Northwest Ballet, Ballet Etudes of South Florida, Bavarian State Ballet, Philippine Ballet Theatre, The Daring Project and the Stars of American Ballet. He can also be seen in the documentary Ballet, directed by Fred Wiseman.